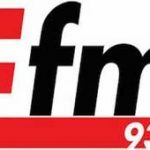 E FM Tanzania live broadcasting from Dar es Salaam, Tanzania. It is one of the most popular radio channel in young community of the country. Its programs are famous in all over the world because its programs are recognized on an international level. People living abroad also like to participate and listen it. All shows telecast in Arabic and English language. E-FM is recognized in all over the world. presenters are working hard and composing full entertaining music and shows for audience.